It’s baaaaack! | Meghan Kelly Teles! 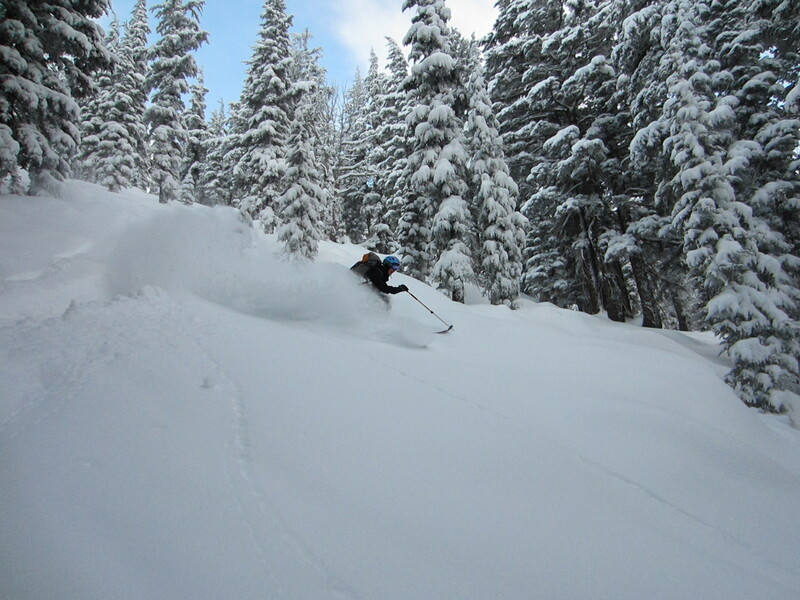 Powder that is! Kirkwood was unbelievable yesterday. I’d show you, but the footage I took is somewhere under snow in Eagle Bowl. So if anyone sees a Go Pro out there, let me know. 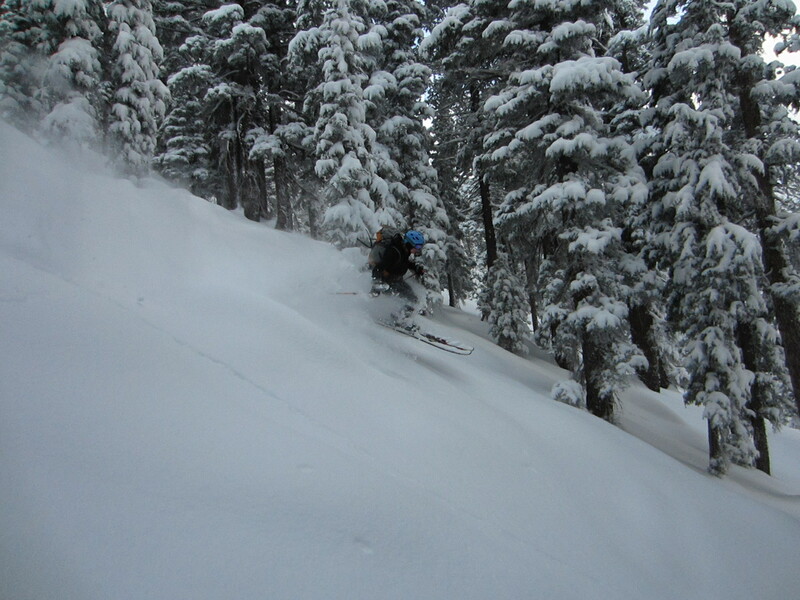 The snow was so great that we woke up at the crack of dawn for a little backcountry action. Domi at the top at 7 AM! So pumped she's coming to Europe with me! powder turns and "O face"
Domi with the pow slash! and a little air time! 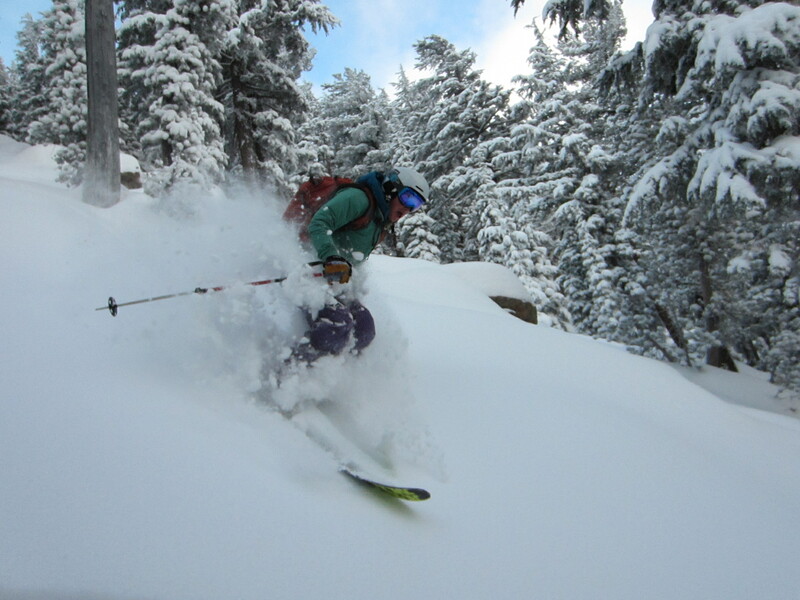 Sign up for the Tahoe Vertical Challenge here to log your hiked vertical throughout the season. 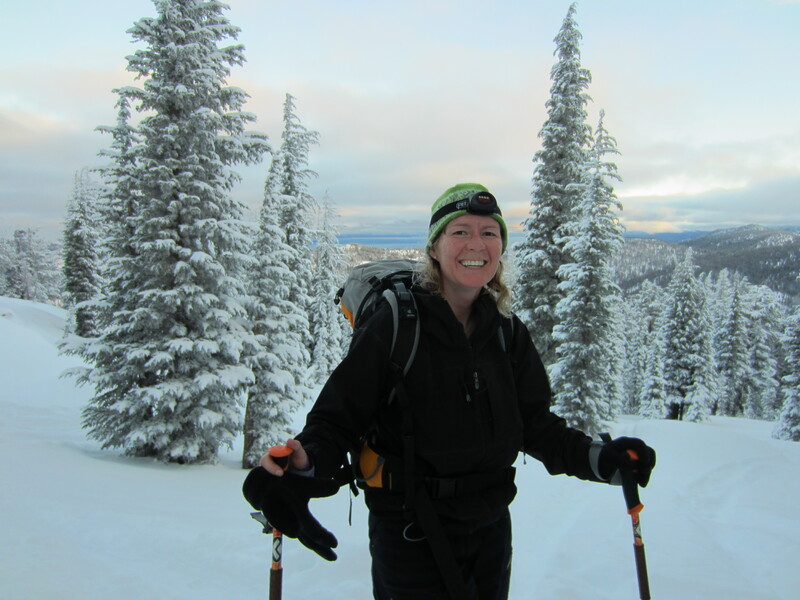 I’m at 58 ski days and 32,800′ of hiking. Not bad for the snowless cards we’ve been dealt!